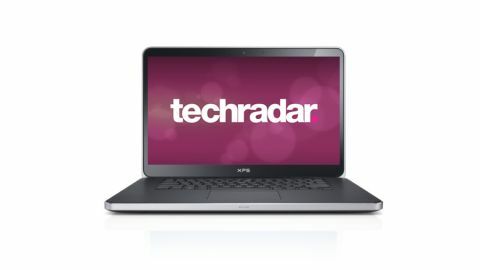 Dell is back with a bang – with a huge 2012 refresh including a raft of third-generation Intel Core powered machines. Along with the new Inspiron, Latitude and Vostro machines, the flagship XPS range also has a new leader; the Dell XPS 15. The Dell XPS 15 is here to sit alongside its little brothers, the Dell XPS 13 and the Dell XPS 14; and while it doesn't have the skinny credentials to qualify as an Ultrabook like the XPS 13, it boasts a spec-sheet that blows its dinky brethren out of the water. The XPS 15 is one of those machines that manages to pack an incredible hardware-configuration inside a great-looking chassis, and will take on the likes of the latest MacBook Pro, the new Sony Vaio S Series and the Asus N56V at the top end of the laptop market. The review model in question retails for just under £1,300, so is certainly not cheap, but there's plenty of tech crammed inside to get excited about including an Ivy Bridge i7 chip, discrete graphics from Nvidia, an SSD drive for super-quick boot-up times, a gargantuan 1TB hard-drive storage, 8GB of RAM and a beautiful Full HD display. If your budget doesn't quite stretch that far, you can sacrifice some of the Nvidia power, half the RAM and the i7 chip in favour on an i5 one, and save yourself around £230. In total, there are five Dell XPS 15 models on offer – ranging from £1,049 to £1,279 – the machine on review here is the top-of-the-line offering. At 23.2mm thick, the Dell XPS 15 does look slightly chunky through our Ultrabook-tinted glasses, but you have to remember that this is a machine that's much more MacBook Pro than MacBook Air and, with a weight of around 2.6kg, it's hardly a PC that will leave you tied to your desk all day. The MacBook Pro comparisons are impossible to resist and we're sure you'll agree once you lay your eyes on Dell's new flagship. When closed the XPS 15 could almost be mistaken for Apple's best-seller, albeit with a chrome Dell logo where Apple's glowing half-eaten fruit sits. The chassis is decked in a machined-aluminum finish that not only looks superb, but also provides plenty of reassurance if you're the type that worries about your notebook being bashed around when you're out and about. There's no tapering at the edges, but a consistent thickness all around, with both the slot loading optical drive (DVD-RW as standard, Blu-ray upgrade available) and the numerous ports oozing a rugged and sharp coolness from the silver trim.